ChainLink Research : Research :Lessons from Going Multi-channel at ANN INC. 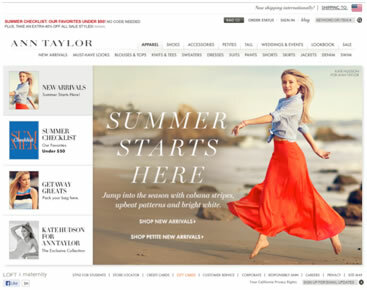 Lessons from Going Multi-channel at ANN INC.
ANN INC.'s EVP of Ecommerce gives five great insights from his experience taking Ann Taylor and LOFT into an integrated omni-channel model. 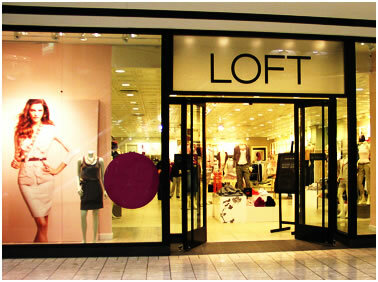 I thought one of the best sessions at Manhattan’s 2013 Momentum conference was during the keynote session when Matthew Siegel, EVP E-Commerce at ANN INC talked about lessons he learned while launching multi-channel capabilities across AnnTaylor.com and LOFT.com sites and their 984 Ann Taylor, Ann Taylor Factory, LOFT, and LOFT Outlet stores. He boiled his experience down to five insights, which I think are worth sharing. Insight #2—Prioritize the Capabilities. You need to figure out what kind of multichannel capabilities you are trying to launch first, deciding which capability makes the most sense for your business. Will you support buy online and ship to store, reserve online and pick up in store, buy in store and pick up in another store … there are endless variants. And these are just the top level capabilities. Do you build algorithms that optimize for delivery speed , or profit, or using the most underused shipping asset, or some other goals? How much, if anything, will you charge for shipping under different scenarios? There are an enormous number of questions to ask and decisions to be made. ANN INC did a two-day offsite meeting with 30 of their cross-functional leaders, during which they developed 17 different business models and ranked them by cost and complexity. They decided to make store inventory available online. It made sense for their business, but something else might make sense for yours. Matthew recommends boiling it down to one concept, the one that makes the most sense to do first; aggressively go after that and then move on. Insight #3 – Your culture has to evolve with technology. Store people have learned to sell what is in the store. Distribution Center workers have learned how to move what is in the DC. Most retail organizations have gotten good at optimizing inventory management within each channel independently. It requires a huge culture shift to now tell your people to optimize across channels. Direct and store teams will have to work together in ways they never have done before. ANN INC has 17,000 store associates. You can program a machine to do what you want. But not people. Your people are the key to success or failure and you have to win their hearts and minds and get them to buy into to new goals and incentives. Store associates need to see the abstract orders coming in as real people. As hard as technology is to get right, it is harder and as critical to win hearts and minds, aligning incentives to the behaviors that bring the desired outcomes. Insight #4 – Multi-channel will be the hardest project you ever launched. You are creating new heart and lungs for your entire corporation; connecting things that never had to be connected before; every order, every shipping transaction, every return. And that is just one of the challenges. Think about what will change—you will have to update your planning systems, financial reporting and recognition, sales reporting, transportation patterns, warehouse workflows, customer service centers, store associate tasks. At the same time you are changing your systems and processes, you have to simultaneously retrain your workforce. And now you are ready to take your first order, and you will continue to learn by your mistakes. Scaling ecommerce for cyber Monday is hard enough. But having to take into consideration the capacity of your stores, not just labor but also materials (do you have enough cardboard and tape at 750 stores) is a big challenge. This is a paradigm-shifting transformational change. Insight #5 – Omni-channel actually works. It really does. For the last 100 years, retailers spent a lot of time learning how to optimize inventory planning and allocation. We got good at it. But no planning system can control the weather. Sweaters won’t sell when that unexpected early heat wave hits in Atlanta. We mark down until it gets to the kill price and finally moves it. At the same time, ecommerce is changing retail so fast. Double digit growth, year after year, makes it harder to figure out how much inventory to put into a DC. We used to just remove items from the website when we ran out at the DC, even if thousands of units were unsold in the stores. Now website aggregates demand across the country. We are open 24X7 and don’t have to mark down as fast. We are able to clear out trapped inventory at a higher price, like our example of selling that sweater sitting in Atlanta’s early heat wave to someone in Colorado where it is still cold. Now websites have access to inventory across the entire fleet. 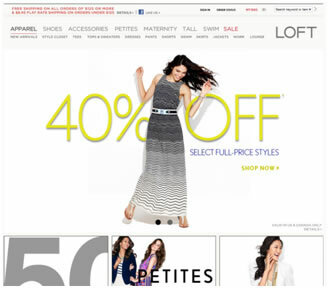 Online customers have access to the full inventory across the stores and vice versa. We are learning to be smarter about where to put inventory at different nodes of demand. The next ten years is a race to multi-channel excellence. Those who move faster will gain a material margin advantage over their competitors. It is more than a technology project. It is the future of retail.